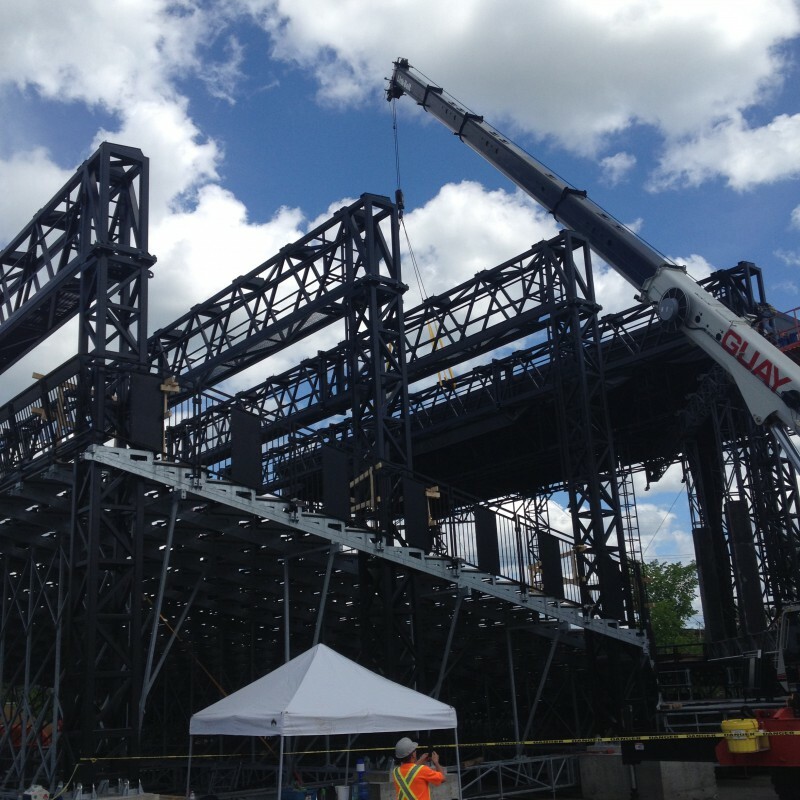 Designed, built in the workshop and installed in 2010 by Scène Éthique, the city of Sherbrooke’s exterior auditorium, Place Nikitotek, hosts renowned artists every summer. 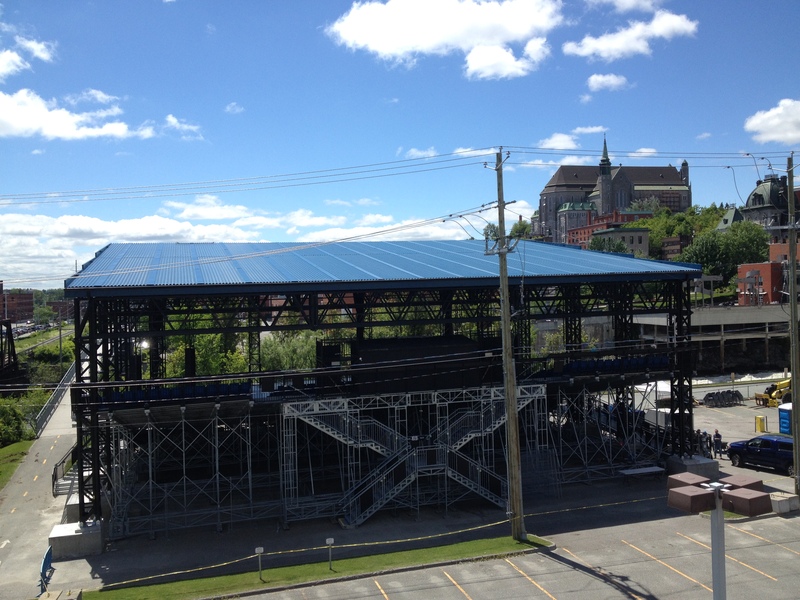 In the spring of 2015, in order to maximize the use and the economic potential of this fabulous site, the City of Sherbrooke mandated Scène Éthique to design, build and install a roof covering the grandstands. Since the auditorium is a fully integrated installation with its main feature being the possibility to dismantle it and reinstall it anywhere, it was mandatory that the roof and its structure have the same properties. 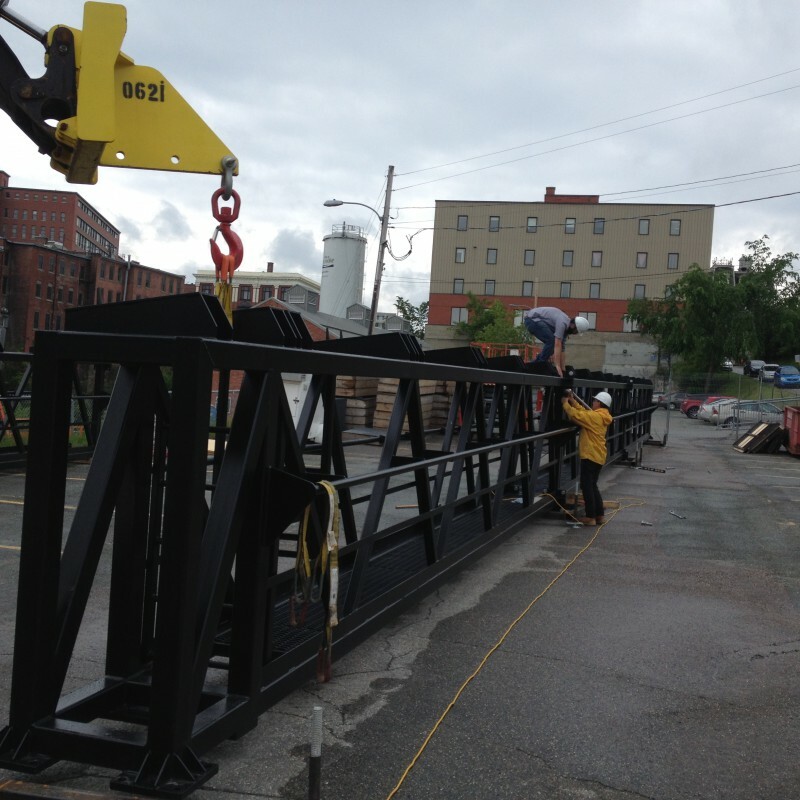 We designed an independent, modular and safe structure that can be dismantled and moved. An interesting design challenge which included adapting the existing structure without altering its properties. The total surface of the roof is 8,320 square feet and the trusses each measure 104 feet long, 32 inches wide and 72 inches high. The fact that the site is bordered by a high voltage electrical line coupled with the size of the components to be installed made the installation project very complicated. An installation challenge that was brilliantly met by the Scène Éthique team. To take a virtual tour of the auditorium, click here.